Around the world, women’s voices are rising – in anger, in excitement, in demand, in support, in frustration, in joy. And as the chorus grows, the world is watching, waiting, to learn who will respond to these voices and how. In particular, is the Church listening? 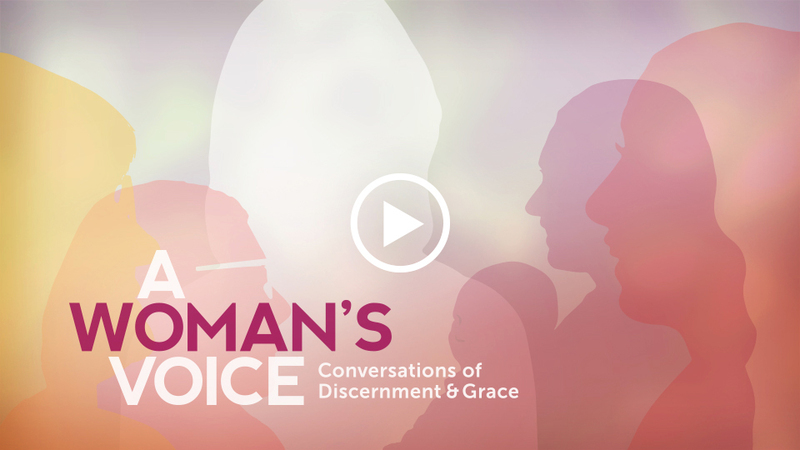 Does the Catholic Church engage the voices of women to the aid and advancement of itself? Viewed through the lens of the secular world, the answer is no – women of the Church are oppressed, silenced, unable to break a stained glass ceiling of Church hierarchy. But we invite you into a new conversation, with new perspective, to answer these crucial and controversial questions. 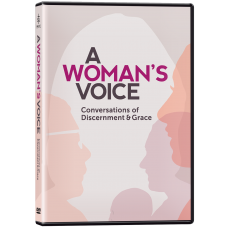 In the Salt + Light documentary, A Woman’s Voice: Conversations of Discernment and Grace, we hear the voices of eleven women from around the world and learn of the stories, work, and vocations that are enhancing ministries, fighting for justice, and influencing thought. From the mother at home to the missionary in the field, from the small cubicle to the mayor’s office, the work of each woman is a ministry, a necessary contribution to building the kingdom of God. Empowered by their love of Christ and responding to the voices of his people, women of the Church are changing the world. Let’s learn how. Please join our conversation. 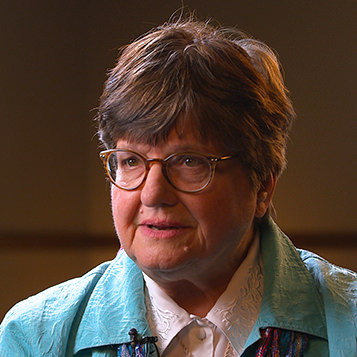 Sr. Helen Prejean’s life is the stuff of movies. Her encounter with an inmate on death row became the best-selling book and Oscar-winning movie, Dead Man Walking. 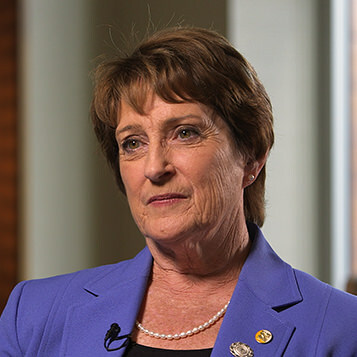 A member of the Sisters of St. Joseph, her compelling work continues to draw attention to and raise visibility of one of the most important life issues in America. Sr. Helen has appeared on ABC’s World News Tonight, 60 Minutes, Oprah, NPR, and an NBC special series on capital punishment. She continues to minister to death row inmates. 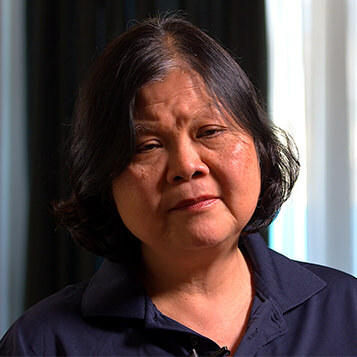 Carolyn Woo has held titles of professor, administrator, dean, and CEO. 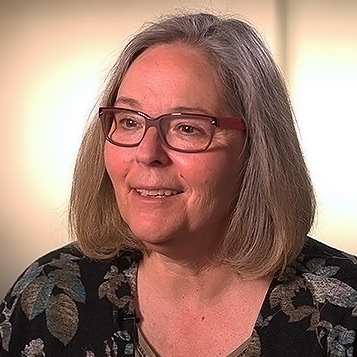 This last role Carolyn served with Catholic Relief Services, the working arm of the United States Bishops to assist the poor and vulnerable overseas and whose services reach over 100 million people worldwide. 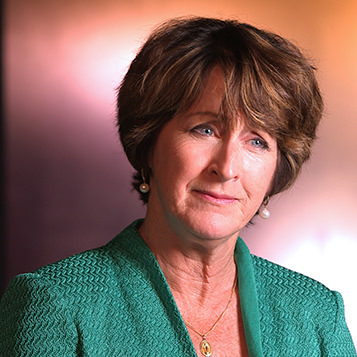 During her five-year term, she applied her business background and Catholic faith to develop strategies to respond to natural disasters and aid refugees from around the world who are forced to flee their homes. She is also the author of Working for a Better World: God, Neighbor, Self. As a lawyer, author, and fellow at the Ethics and Public Policy Centre in Washington, D.C., Mary Hasson is working to engage women and influence thought. Throwing herself into the words of Pope Francis, who has said women need more of a voice in the Church, Mary speaks frequently on women, faith, culture, family, sexual morality, and gender ideology at conferences across the United States. Mary is the editor of Promise and Challenge: Catholic Women Reflect on Feminism, Complementarity, and the Church. With four beautiful babies in her arms, Justina Kopp is a grateful and blessed mother. But carrying and birthing quads is risky, and those challenges were made apparent by her varied pre-natal care – one pro-life clinic that celebrated with her, and one perinatology practice that strongly advised against carrying all four babies to term. 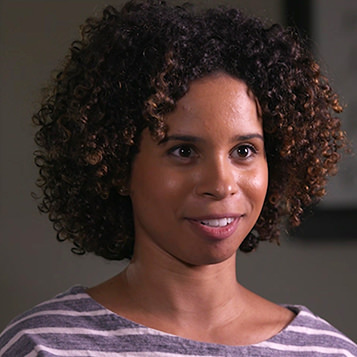 Justina armed herself with her convictions, knowledge, and faith and has found herself in a place of advocating for life. When the Pope makes his historic papal voyages, Cindy Wooden is there, too. As the Rome Bureau Chief for Catholic News Service, it’s Cindy’s job to share the stories of the Pope and the Vatican with the rest of the world. Originally from Idaho, Cindy is the first female chief of the CNS Rome Bureau and has been reporting on the Vatican and the Catholic Church since 1989. She is the author of Luis Antonio Tagle: Leading by Listening and editor of A Pope Francis Lexicon. 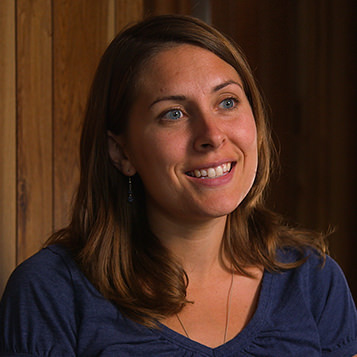 Andrea Lefebvre and her growing family serve as missionaries with the Holy Family Apostolate in Whitehorse, Yukon. With a willing heart and as a presence of faith in the community, Andrea knows that their example of established family life – complete with its seemingly mundane tasks and frequent kid chaos – will witness to the Church and the love of Christ. As a wife and mother of five, Denise Grimard has a full schedule of responsibilities. But also a missionary with the Holy Family Apostolate, living in a town powered by generators and with the nearest cell phone signal a ten-hour drive from her home, her tasks and daily routines serve a greater purpose. Surrounded by wilderness and far from family and friends, Denise is confident in God’s plan for her days of motherly duties to have an impact on others. Barbara Dowding is first female vice-chancellor in the Vancouver Archdiocese and one of very few to hold that position in any Catholic diocese in Canada. Coupled with her past as National President of the Catholic Women’s League, Barbara is influencing the thought and thoughtfulness of the Catholic Church in Canada. Living in a land of difficulty and discord, Vera Baboun shares her stories of suffering and hope. From a supportive childhood to a beautiful marriage, her good life was plagued by the battles of her homeland. Her husband’s imprisonment and illness shaped her thinking, while motivating her in her work and education. 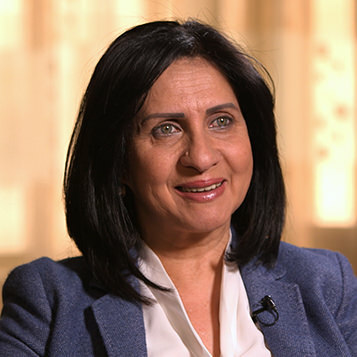 Vera was elected Bethlehem’s first female mayor, serving from 2012 to 2017 and applied the lessons of her life to help a desperate and despairing city. 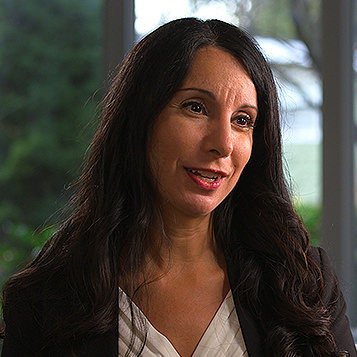 As professor and director of lay formation at St. Augustine’s Seminary in Scarborough, Ont., Josephine Lombardi has a direct and, she notes, motherly influence on her students in her teachings about salvation and the human condition. In educating future priests, chaplains, and lay ministers, her message and wisdom extends beyond the classroom into parishes, schools, homes, and communities. Josephine has authored a number of books, including Experts in Humanity: A Journey of Self-Discovery and Healing and On Earth as it is in Heaven. 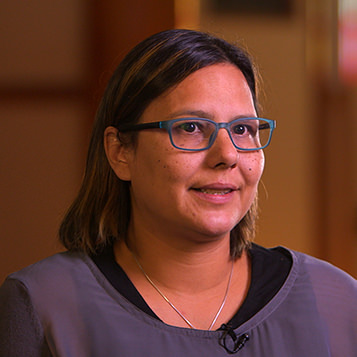 Lisa Raven is an Aboriginal Catholic woman from the Hollow Water First Nation in Manitoba and the Executive Director of Returning to Spirit, a non-profit organization that designs and delivers workshops on Reconciliation. 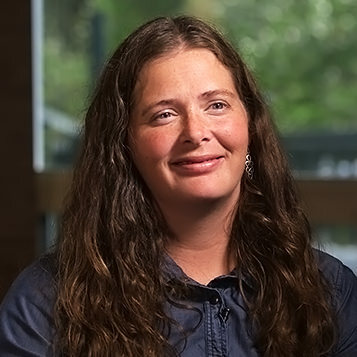 Once a participant in the workshops herself, Lisa’s movement from despair to forgiveness influences her strong commitment to helping individuals, families, and whole communities. Her life and work is testament to the healing power of communication, nurturing a conversation that leads to understanding.